Why French Doors Are Perfect Additions To Your Home? French doors have become an integral part of most modern homes. These doors not only improve the outdoor view, but also keep out cold air and allow sunlight to enter your house whenever you want. If you are planning to take up window replacements and want to install French windows or doors, here is why these windows and doors are perfect for your home. One of the reasons why French doors and windows are used in residential setting is because they open up the rooms to exterior light. However, this will work only on those doors and windows that are fitted with glass or fiberglass panel. When installing these doors, you should keep in mind that light would not get through if you use steel, wood, or aluminum. Homeowners don’t have to compromise when it comes to selecting the right design of French doors and windows for their home. In a study, it was found that French door and window replacements bring the highest return-on-investments in terms of home improvement projects. These doors and windows not only improve the value of your home, but they also make it easier for you to sell your house. The only disadvantage of these doors is that outsiders are able to see inside your house. This risk can be mitigated by installing impact resistant French doors and windows. Impact doors are very strong, which prevents intruders from entering your home. If you live in an area that is prone to hurricane, installing storm windows and doors can prevent strong winds and debris from entering your home. Hurricane doors and windows also prevent harmful ultraviolet rays from entering your home and damaging your furniture. The price of these doors varies substantially. The main reason why homeowners install wooden French doors is because they are easy to repair and offer an aesthetic feel to their room. 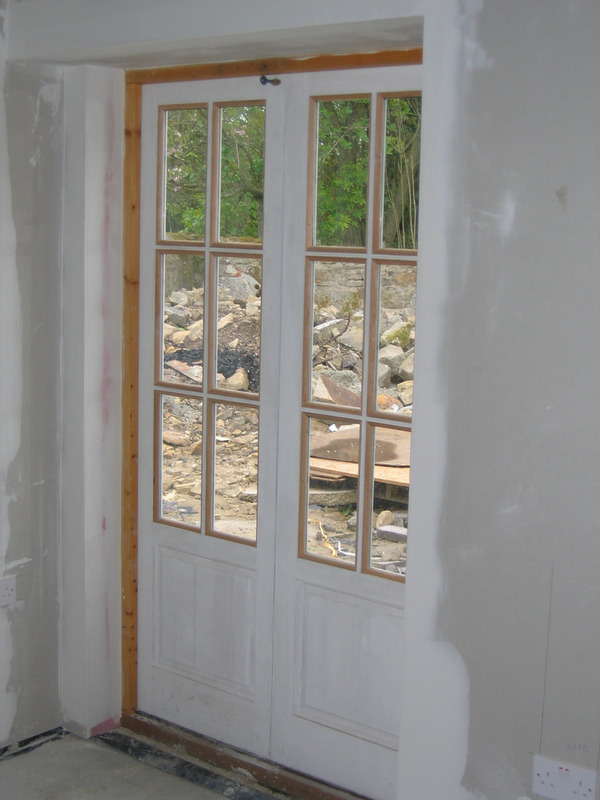 Avoid installing cheap wooden doors, as the maintenance cost of these doors is high. Also, the wood may fade or peel off when exposed to direct sunlight. Steel doors are heavy and they are usually installed in households where security is the number one priority. These doors prevent break-ins and they cannot be damaged easily. However, these doors must be treated regularly to prevent rusting. These doors can be easily painted to suit the decor of your home. Aluminum French doors offers similar benefits to steel doors with reduced cost and weight. Most people who install sliding patio doors use aluminum core to improve the durability and strength of the sliding. Aluminum is also an excellent insulator which helps in reducing energy bills during extreme temperatures. These doors are the preferred option for most homeowners. Fiberglass French doors are more flexible than other types of doors and can easily fit obscure openings. They are more expensive than aluminum doors, but offer several additional benefits such as reduced wear and tear from scratches, warping, and environmental weathering.